Grand Prismatic Spring, Yellow Stone Park: Pockets of liquid hot magma swelling below Yellowstone National Park coalesce with homosexual chemtrails, creating a potent mixture that could cause gender confusion and sexual-misidentification within a 500 mile radius should an explosion take place. Outbreaks of homosexuality are erupting all over the world. The CDC estimates that the basic reproduction rate of homosexuality has reached a critical R0 > 1 point, where R0 = 50 in some of the affected regions of Earth. This accounts for new data that shows for every 100 men, over 45% to 50% are now secretly or agnostic gay. The global spread of homosexuality has reached epidemic levels. Sources close to the White House purport the Obama administration has an agenda to ‘increase worldwide homosexuality’ and this is a means to ‘ensure the gay agenda is being used as a means to of establishing a universal vote for liberal-leaning leaders’ in democratic nations. Evidence of Obama’s Illuminati-bread conspiracy was revealed in Chile last week. Chile is a nation with laws that have traditionally favored hetero-normal couples. But our of nowhere, a volcano erupted into a magnificent display of pastel orange, muted marmalade and cherry chifon colors, all hallmarks of hues a gay may use to describe the expensive Corinthian leather furniture purchased to decorate his spacious, modern home. It is no coincidence that the chemtrails from the volcanic explosion in Chile are the very colors that gays tend to love: there is a neurochemical aspect to chemtrails that define a homosexual’s blatant affinity for exotic rainbow colors. Only days after 4,000 people were forced to evacuate in Chile,confused looking protesters took to the street to start demanding equal rights. Instead of frantically searching for loved ones and mourning the loss of property, people instead randomly assembled to protest for gay rights. 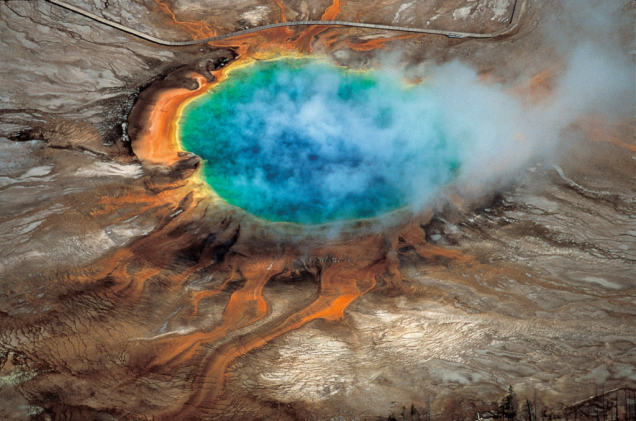 With the news of the Chile’s volcanic explosion of homosexuality fresh in media headlines, Obama’s scientists recently ‘discovered’ that there are similar volcanic patterns and colors beneath Yellowstone National Park. This is no coincidence. This is simply Obama trying to act like this is not an organized conspiracy to cause pocket explosions of homosexuality in nations. If Yellowstone erupts, just imagine all the innocent boy scout troops, families, tourists and locals who would suddenly be crippled by weird chemically induced urges. There is a definite conspiracy going on here. Fracking is great as it helps America’s oil futures and strengthens investor confidence, but now Obama has found a way to use it for his own means. Earthquakes, chemtrail explosions of homosexuality and fiery magma are all combining to destroy heterosexuality in not only the world, but right here at home in America.